After teaming for The Mystery of Heaven back in 2012, Jim Jarmusch and Jozef van Wissem have readied a new full-length follow-up effort. Titled An Attempt to Draw Aside the Veil, the duo's latest arrives February 8 through Sacred Bones. Seven tracks in length, the primarily instrumental effort is said to explore the work of Russian occultist and philosopher Helena Blavatsky. As Jarmusch puts it in a statement, "An Attempt to Draw Aside the Veil is another adventure with Jozef into the realm of vibrating strings and the dreamlike musical text." You can hear album opener "Concerning the White Horse" in the player below. 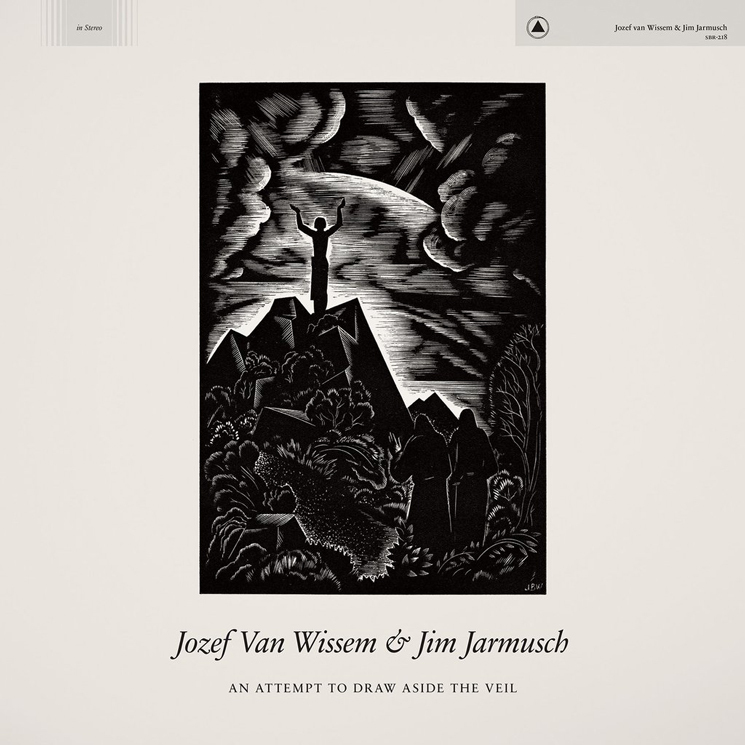 The collaborative relationship between Jarmusch and van Wissem dates back to 2006 after meeting in New York City. In addition to The Mystery of Heaven, van Wissem also contributed music to Jarmusch's 2013 film Only Lovers Left Alive.